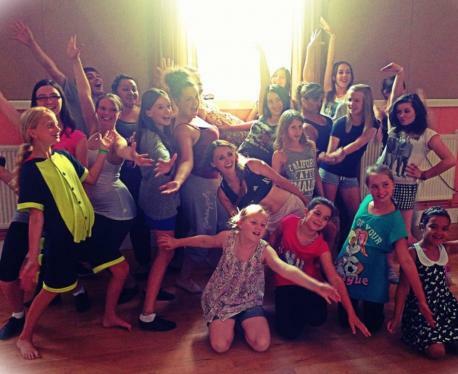 FULL Fame cast on a pyjama day to fundraise for the show. FAME the Musical, the Olivier nominated story of ambitious young New York performers, arrives at the Tacchi Morris Centre in Taunton, for three nights later this month. It’ll be a first for the Young Musical Theatre Company, a Wells-based troupe with some of Somerset’s best performers, and packed with 80s nostalgia. The plot follows a group of Big Apple students across their high school acting, dancing and music faculties as they grow both as adults and performers. Taking the lead of Carmen Diaz in the 40-strong cast is Paige Blunt, 21, a Bath Spa musical theatre graduate. Fame: The Musical, runs for three nights from Thursday August 29 until Saturday August 31 Performances start at 7pm. Buy tickets from www.tacchimorris.com.